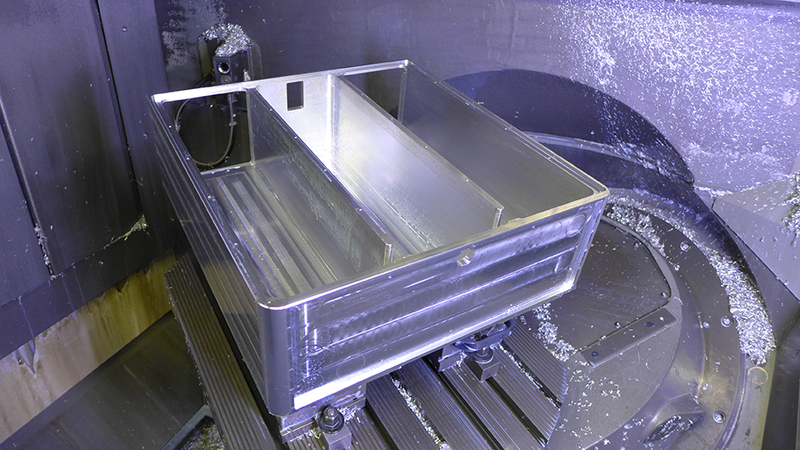 The first enclosure is milled and the final fitting of the electronic modules was done today. Now the next 3 enclosures can be done. The target is to put 2 x 200W modules inside of one enclosure. Each module is a stereo bridge amplifier. and has 196 Output Transistor pairs (npn/pnp)!!! And can deliver more than 20Apeak current to drive even heavy loads at 2Ohm or below. That is the reason why we need 2 x 1000W power supply modules. 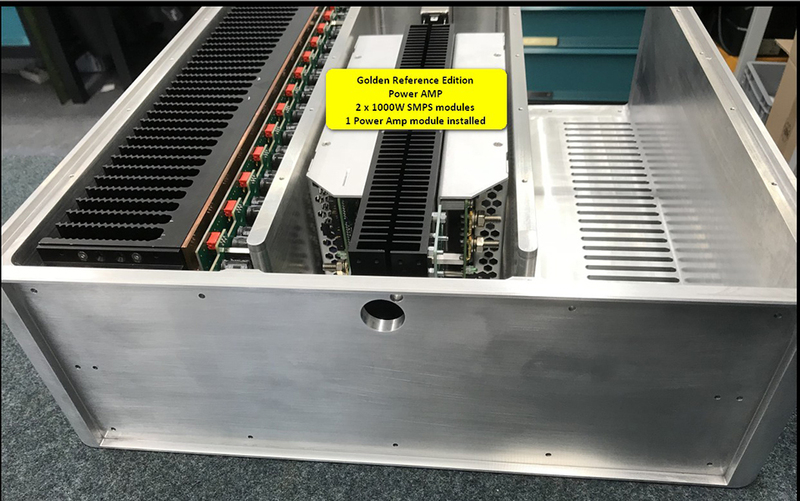 The completed power amp will contain 784 output transistors. The voltage gain stage is similar to the electronic used in the Golden Reference preamp and phono. Outer dimension 440 x 470 x 150mm. 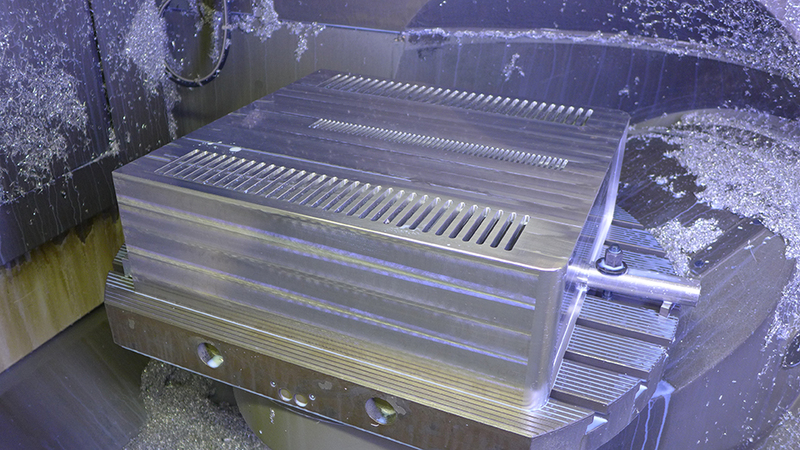 The enclosures for the Power Amp of the Golden Reference Edition are on the milling machine. 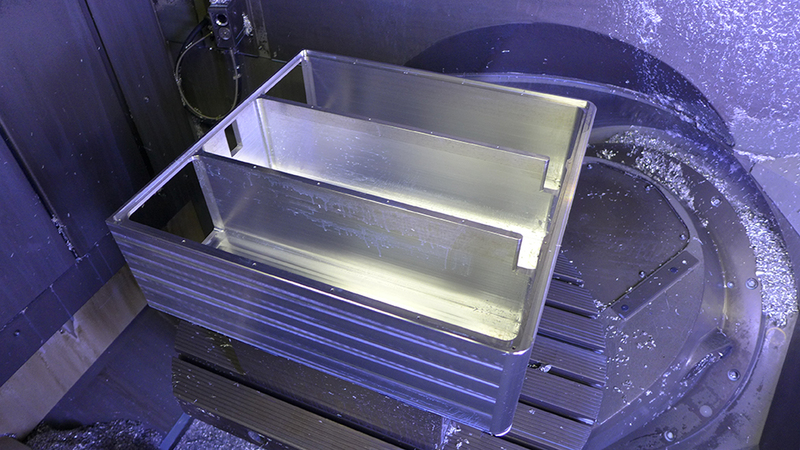 By the way we start with an aluminium block of 80kg!!!! 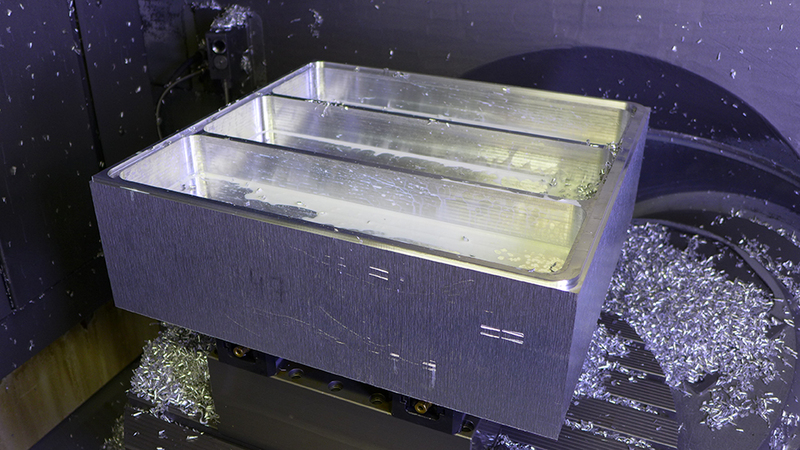 The used milling machines have a relative small milling area of 600mm x 600m, but caused by this “tower structure” they have very low vibrations in the tools and milling material. This is the basis for a very precise final product.